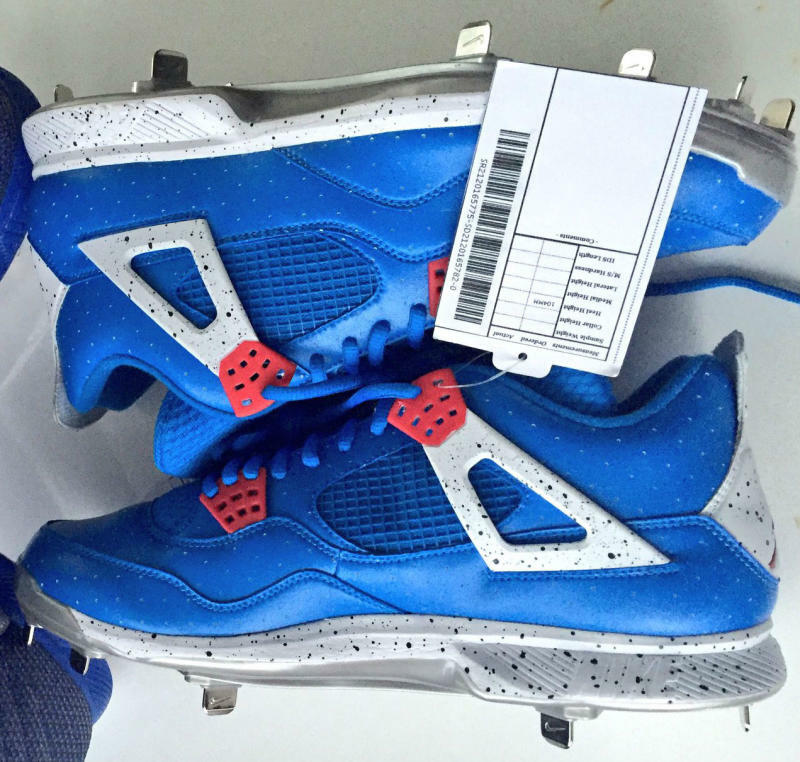 One of the newer members of Team Jordan, Toronto Blue Jays pitcher Marcus Stroman finally has his own custom cleats. 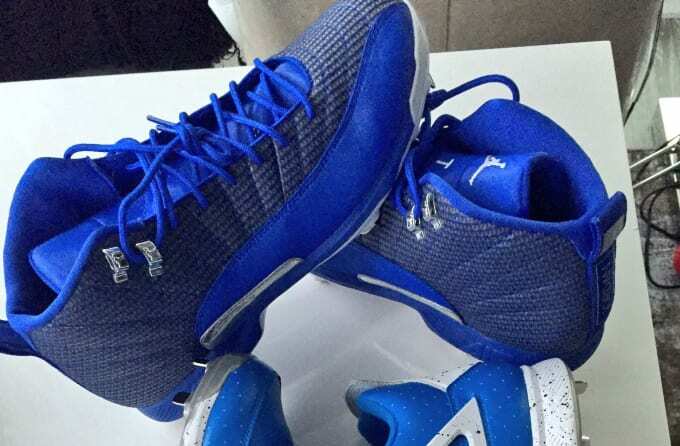 Stroman was just shipped two different pairs of Player Exclusives, an Air Jordan 4 and Air Jordan 12 in Blue Jays-inspired colorways. The Jordan 4 is a straight Blue Jays take on the classic "Cement" colorway, while the Jordan 12 features a brand new textile upper. Look for both pairs on the mound soon.